Today’s K-12 classrooms are changing, and teacher education is evolving too. John Kuykendall, dean of the University of Indianapolis School of Education, said that means there’s an increasing need for innovation. In addition to multi-tasking, Kuykendall said today’s teachers are working with students who may be experiencing trauma at home, so a modern curriculum may include counseling. Preparing student-teachers for these dynamic educational settings is a key goal for Kuykendall, who joined the University in June 2018. “One of the things we do very well in the School of Education is getting our students into the classroom early with field experiences so they can get a sense of what it’s like to be a teacher. 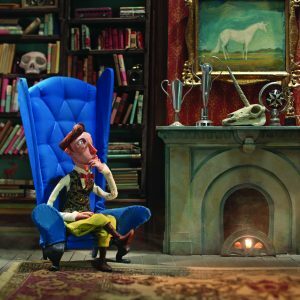 The idea is for them to learn, observe and interact with students and feel the environment of a classroom so they know what lies ahead,” Kuykendall explained. Student-teachers are encouraged to process those observations starting in the first year of training – an element that Kuykendall says sets the school’s education programs apart. “That’s been very powerful. We do a really good job here of designing lessons so that our students can reflect on what they’re experiencing in the classroom early,” he said. In his own research, Kuykendall is interested in what drives student success, specifically among African-American student populations during the first year of college. Forty percent of UIndy students are first-generation college students, and Kuykendall is applying his research to benefit student outcomes. 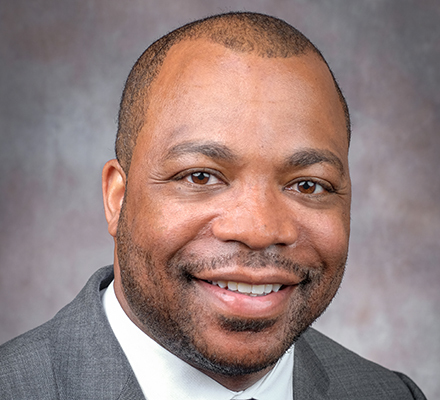 He is collaborating with Jennifer Smith, director of student equity and success, to help students be more successful on campus in their freshman and sophomore years. In his role as dean, Kuykendall is focused on expanding program offerings, as well as maximizing opportunities for faculty research. An early childhood education program aimed at adult learners will be introduced. 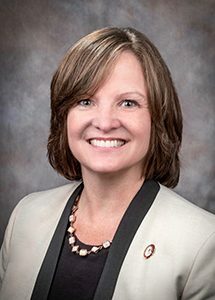 “We want to establish a partnership with Ivy Tech Community College to recruit students with associate degrees so they can smoothly transition into our program and complete their early childhood licensure,” Kuykendall said. Another new program slated for fall 2019 is the special education director’s track. Long-term, Kuykendall says, the School of Education is looking at ways to establish a school partnership within the community, and to explore a doctoral program in leadership studies. “We want to connect strongly with an elementary school in the area so students will have the opportunity to go into a school at their own time and pace and work with students in STEM education,” said Kuykendall, who also hopes to build a makerspace on campus for students to work with community members on creative educational solutions. Another key focus for Kuykendall is faculty research. He’s looking at innovative solutions that will allow faculty to attend more conferences, conduct more research and consider new ways to partner with local schools are all part of that strategy. “We really want to embrace the scholar practitioner model. If you’re out in the schools, you can support what your students do through solid research. In order to be a strong faculty member, you have to be able to have research in certain areas that can inform practice,” he explained. 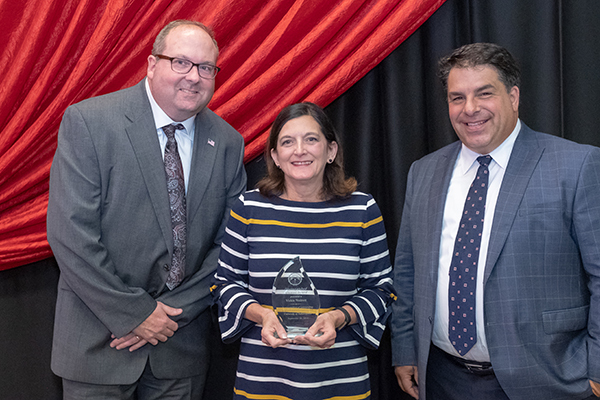 The Metropolitan Indianapolis Central Indiana Area Health Education Center (MICI-AHEC) recently received a five-year, $3.2-million Health Careers Opportunity Program (HCOP) grant award from the National HCOP Academies. Hosted by the University of Indianapolis since 2014, the work of MICI-AHEC is to introduce people from underserved populations and geographic areas to health careers in an effort to return skilled health professionals to those areas. The Health Careers Opportunity Program is one way that MICI-AHEC achieves that goal. 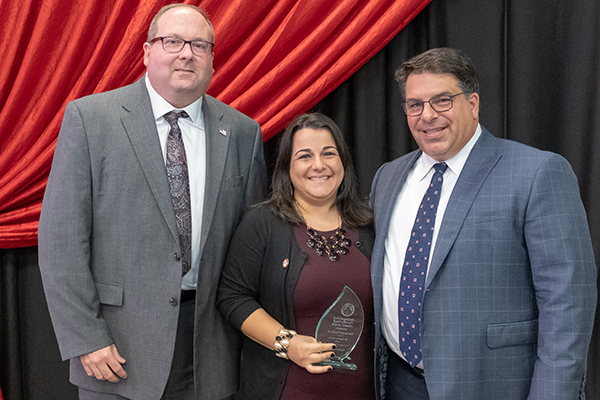 MICI-AHEC Executive Director Erica Young explained the significance of the grant as well as how the organization’s ongoing partnership with UIndy has been beneficial to both organizations and to the students they serve. College Prep Academy, which is open to high school students interested in careers in health. The 20-week program takes place at UIndy on Saturdays. Hoosier Health Academy is open to high school students interested in health or STEM careers. The six-week program takes place at UIndy during June and July. Undergraduate Summer Research Institute in which undergraduate students are paired with a UIndy faculty preceptor in a STEM or health-related field. Pathways to Adult Learning is aimed at working adults who want to complete a bachelor’s degree in a health-related field. Pre-Health Certificate Program, for students who have received or are close to finishing their bachelor’s degree, is an 18-credit hour program designed to increase a student’s competitiveness for applying to graduate health professions programs, such as physical or occupational therapy. UIndy biology professor Dr. John Langdon heads up this program as part of the Master of Science in Anatomical Sciences program. Integrated Behavioral and Mental Health prepares undergraduate students and the existing community health workforce for graduate programs in social work or behavioral health with an emphasis on substance abuse and opioids addiction. “The MICI-AHEC/UIndy partnership introduces motivated high school students to the university; provides value-added services and education to current UIndy students; and prepares students to be successful in graduate health programs – many of them right here at UIndy,” Young said. 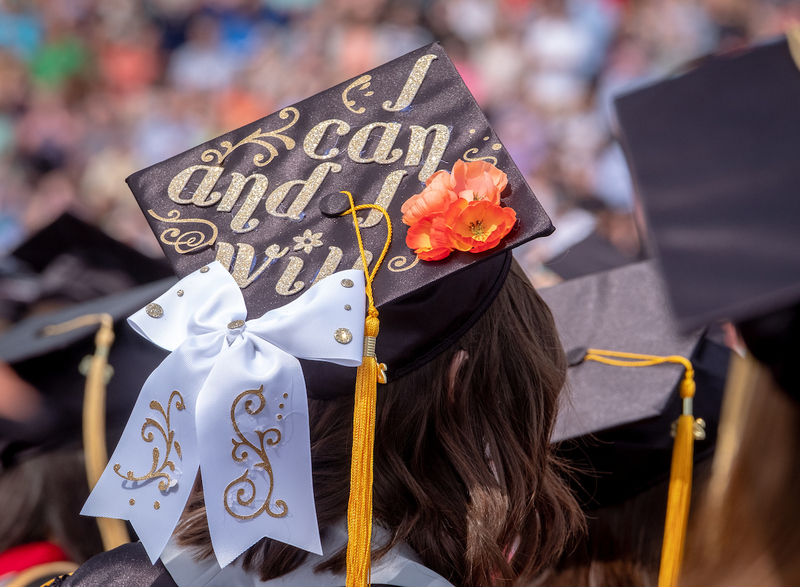 Amid the growing consensus about the importance of STEM education to tackle complex global issues, Debra Feakes, dean of the Shaheen College of Arts & Sciences at the University of Indianapolis, offers insight on the continuing significance of the liberal arts. “General education outcomes like teamwork, communication, critical thinking and reasoning are equally important as getting that STEM education. Somebody who can combine the two of those and communicate well at all levels is a powerful graduate,” Feakes explained. As dean of the Shaheen College of Arts & Sciences, Feakes describes herself as an advocate of the general education core curriculum. 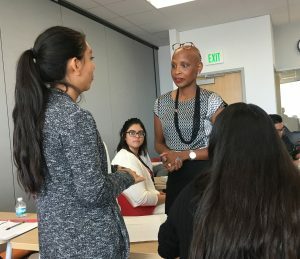 Her perspective has evolved over more than two decades in higher education to embrace the idea that STEM skills are connected to the humanities in critical ways, which is a concept she champions in her role. Emphasizing the relevance of the liberal arts and the value of a well-rounded education is a primary component of Feakes’ long-term strategy for the Shaheen College of Arts & Sciences, comprised of 20 undergraduate and 9 graduate programs. “Part of the task for colleges of arts and sciences across the nation is to recognize the contributions from these fields. We need to focus on making what we do meaningful to the public and demonstrate how this work has a broader positive impact,” Feakes said. Feakes came to appreciate the humanities through her mother, whose interest in the arts acted as a counterweight to Feakes’ science-oriented academic career. Feakes earned a doctorate in chemistry from Utah State University in 1991, but the subject matter didn’t always come easy. An important component of her student experience that she draws from as an educator, including 24 years at Texas State University and now as dean at UIndy, is centered in helping students unravel layers of complexity. “There’s a perception from students that if you’re teaching chemistry, chemistry was easy for you. I understand how difficult it was to grasp, so I was able to use that to help develop my teaching skills, and how better to explain things and make it relevant to students,” Feakes said. 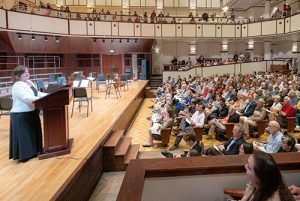 the Gala Opening Concert of the 2018-19 Faculty Artist Concert Series, featuring Maestro Raymond Leppard. Raising awareness among high school students and undeclared majors about potential careers is another goal for Feakes in her role as dean. “When I went to school, I knew people who wanted to be an art historian or chemist. But nobody told me they wanted to be in experience design. I’d like to look at how we can bring the students in and show them potential careers that they might not have considered before,” Feakes explained. 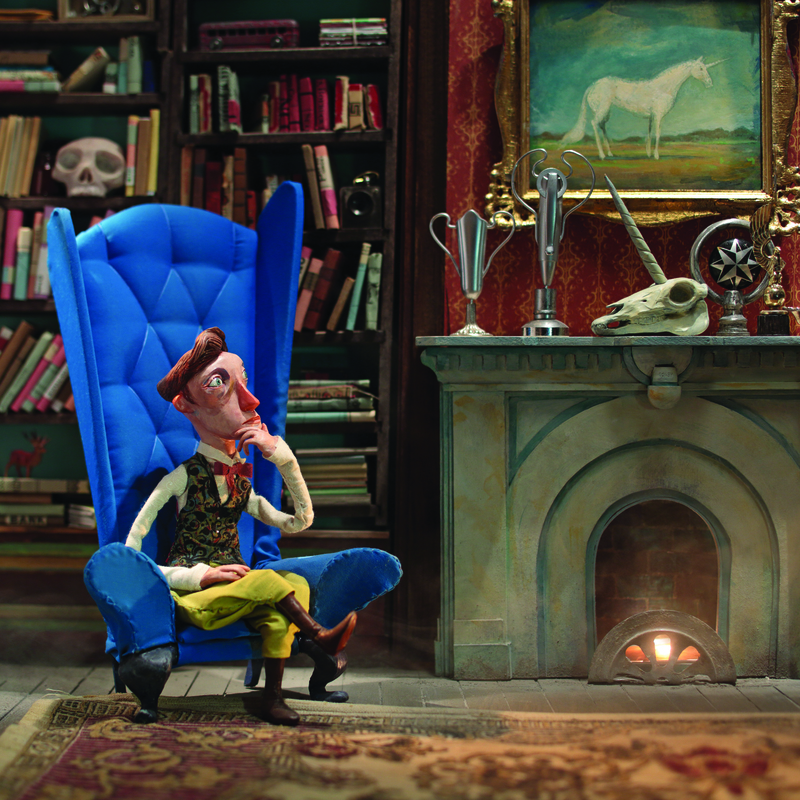 Exploring the field to its full potential is a common theme in Feakes’ own career. As an inorganic chemist, she specializes in boron neutron capture therapy, a treatment designed to target tumor cells for patients with glioblastoma, a form of brain cancer. 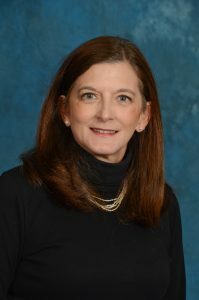 Her interest in chemical education research led her to the area of supplemental instruction, which she applied across the chemistry program as associate chair of the Department of Chemistry and Biochemistry at Texas State. Under the supplemental instruction model, students who excelled in chemistry courses were invited back and paid to model good student behavior in class, such as taking notes or asking questions. Those former students also held study sessions to help current students learn study skills. Supplemental instruction is one example of Feakes’ work as interim associate director of the LBJ Institute for STEM Education and Research at Texas State, which aims to improve access and opportunity for participation in STEM careers. High-impact practices also included first-year experience classes targeted for specific majors, early internship opportunities, undergraduate research and learning assistants. “There are mechanisms to improve retention rates at UIndy and those are just some of the things that we can look at,” Feakes explained. As the first female tenure-track faculty member in the Department of Chemistry and Biochemistry at Texas State, Feakes says she appreciates the value of female, minority and disability role models in STEM fields. “If we’re truly going to embrace diversity, we need all of those opinions,” she said. At least that will be her answer next month after she completes her third ultra-marathon. An ultra-marathon is a race of any distance longer than 26.2 miles. Santurri’s first “ultra” was a 50K (31 miles) in October 2017. She followed that with a 40-mile ultra in April 2018. The motivation behind Santurri’s long-distance running is chronic disease. She started running in 2006 in an effort to feel healthier. It turns out that running helped relieve her symptoms of interstitial cystitis, a painful, chronic bladder disease. That, coupled with the feeling of accomplishment she got when crossing the finish line of her first 5K, kept her running. Next month, she will take on the 50-mile option of the Indiana Trail 100 run at Chain O’Lakes State Park in Albion, Ind. to raise money for the Leukemia and Lymphoma Society (LLS) for a cause that’s close to her heart. To train for the Chain O’Lakes race, Santurri works with a coach who creates weekly training schedules for her, incorporating a mix of strength training, stretching, and running. It’s that hope, for relief from her own chronic pain and for a cure for her husband’s chronic leukemia, that keeps Santurri running. 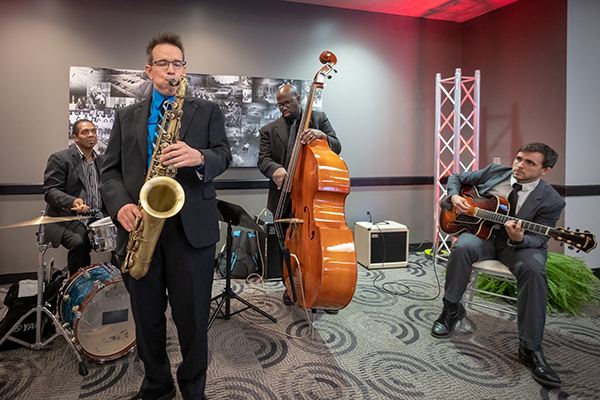 The second annual International Education Month gets underway in October, with a variety of performing arts, film, lectures and interactive events designed to showcase international cultures at the University of Indianapolis and the rich benefits of intercultural exchange. Highlights include the 30th Annual Celebration of the Flags on Oct. 11. 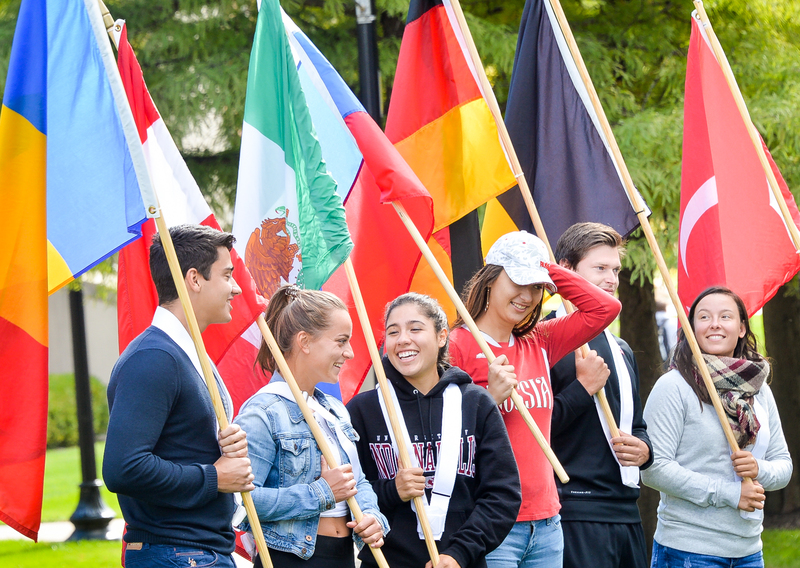 Modeled after the Olympic-style opening ceremony, the event is held on Smith Mall, with international students carrying the flags that represent the many nations of the University of Indianapolis community. Immediately following the Celebration of the Flags, students, faculty and staff are encouraged to visit the International Exposition in the Atrium of Schwitzer Student Center. The Expo will feature interactive displays hosted by campus offices, departments and student groups, including Study Abroad; Global Languages and Cross-Cultural Studies; English; International Relations; Community Engagement; and Chinese, African, Saudi, Burmese, South Asian, and the Student Organization of Latinos, among others. The Expo also features interactive activities such as henna tattoos, Chinese calligraphy, traditional artifacts, and clothing displays. Food will be catered by TBaby’s Authentic Caribbean Cuisine. Participants receive a “passport” to be stamped by interacting with cultural presenters and table hosts. Dr. Josafa Cunha is the chair of Education at the Federal University of Parana, in Brazil. This is one of the oldest and most prestigious Brazilian universities. He will present on his research on school climate and how to craft school interventions to promote positive peer development. “Conviver” means living together in harmony, implying solidarity and respect. Through a combination of online resources and in person mentoring, this project fosters innovation in schools to address the particular issues related to improving life in schools and communities. This program is unique in Brazil for its emphasis on positive development and collaborative community action. Featuring UIndy’s international students carrying the colorful flags of their countries in a procession around Smith Mall. Speakers include President Robert L. Manuel, Indianapolis Student Government President Jamarcus Walker and Craig Anesu Chigadza, an international student from Zimbabwe. Performers include Adam Fernandes ’22 (graphic design) on guitar and Caroline Kavanaugh ’22 (exercise science) on violin. One of the world’s most influential and provocative filmmakers, the Oscar-winning Austrian director Michael Haneke diagnoses the social maladies of contemporary Europe with devastating precision and artistry. His drama Code Unknown, the first of his many films made in France, may be his most inspired work. Composed almost entirely of brilliantly shot, single-take vignettes focusing on characters connected to one seemingly minor incident on a Paris street, Haneke’s film–with an outstanding international cast headlined by Juliette Binoche–is a revelatory examination of racial inequality and the failure of communication in an increasingly diverse modern landscape. A panel of UIndy students will offer information about their experiences participating in a variety of international education opportunities and settings. Attendees will have the opportunity to ask candid questions of the students and find out if study abroad is right for them. This 2018 West Meets East Forum panel discussion will help participants conceptualize both scientific research and clinical practices. Therapists, doctors and students will discuss the benefits of inter-professional and multicultural health care. Participants explore the importance of moving beyond embracing cultural competence to promoting true cultural equity; the belief that all people in all settings have a right to have, embrace and fulfill their intellectual, psychological, material and spiritual traditions. This forum will enhance participants’ global cultural understanding for effective communication and practice in their respective fields. 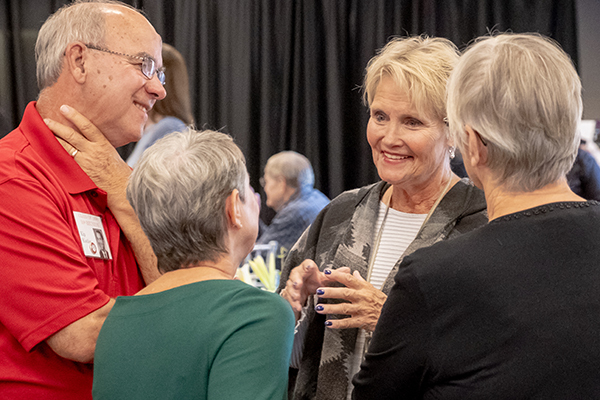 The University of Indianapolis announced Friday the recipients of the 2018 Alumni Awards, which recognize outstanding alumni whose positive contributions make a local, regional and national impact. The 2018 nominees represent the community leadership, integrity and commitment to giving back that embodies the University’s founding principles. 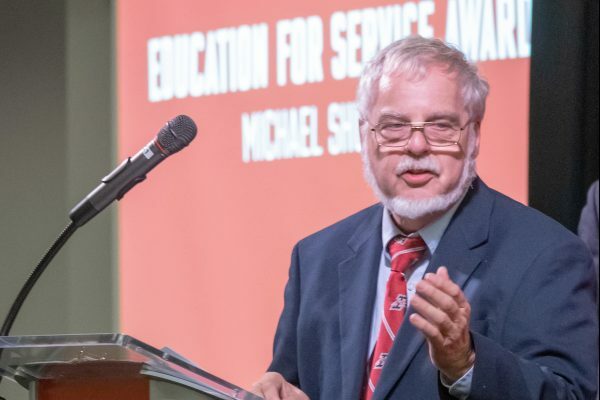 Michael Shurn graduated in 1971 with a degree in English and later earned his J.D. from Indiana University. He is the judge for the Pulaski County Circuit Court in Winamac, Ind. An avid community volunteer, Judge Shurn has worked extensively with the Pulaski County Historical Society, Boy Scouts, 4-H, Winamac Kiwanis Club and his church, which earned him the 2011 H.J. Halleck Award for community service. 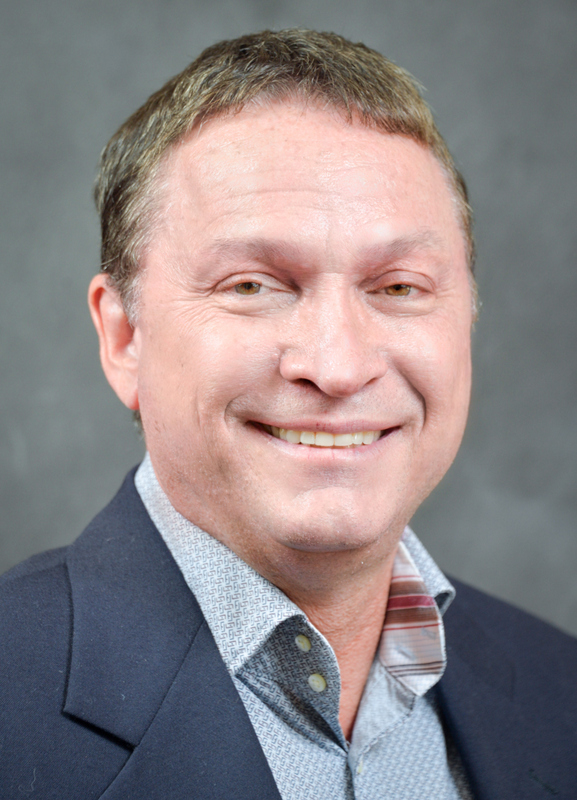 He also served six years on the University’s Alumni Board of Directors and remains active in UIndy events. Michael and his wife, Mary, have two children. Their daughter, Megan, is a 2003 UIndy graduate. 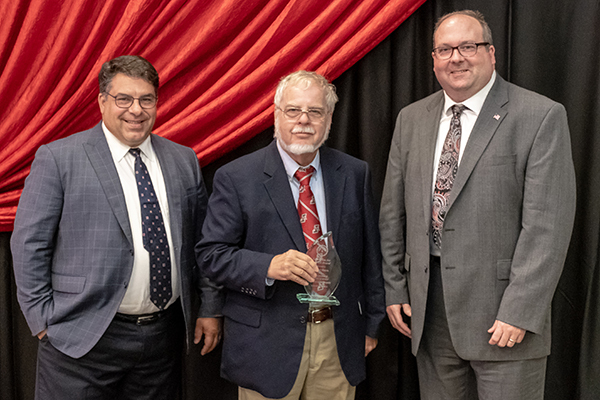 The Distinguished Faculty/Staff Alumni Award recognizes current faculty or staff members who are alumni and have demonstrated consistent dedication and superior service to the University. 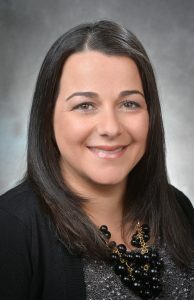 Marianna Foulkrod ’01 ’04 came to the University of Indianapolis from Cyprus and earned a degree in French in 2001, followed by a master’s degree in Applied Sociology in 2004. She serves as the Director of Service Learning & Community Engagement at the University. 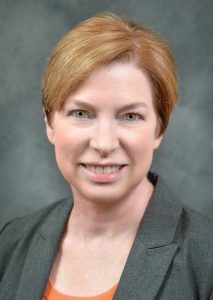 She is committed to providing students with a quality education through service which has earned UIndy the 2010 Community Engagement Classification through the Carnegie Foundation for the Advancement of Teaching, as well as recognition from the President’s Higher Education Community Service Honor Roll. Foulkrod and her husband Kevin, Class of 2000, have two children. 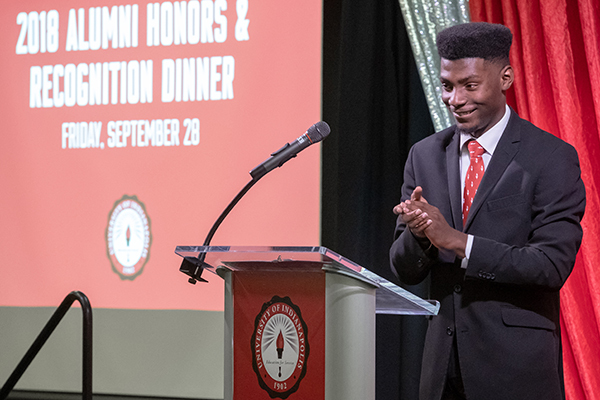 The Distinguished Young Alumni Award recognizes and honors an alumnus and/or alumna of the University who, while still relatively young, has made outstanding contributions to his or her community. 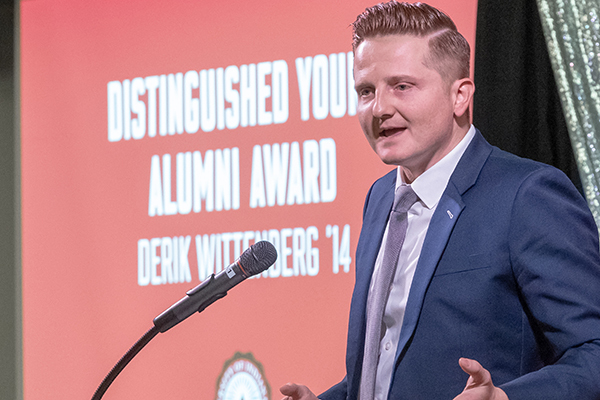 Derik Wittenberg earned an MBA from the University in 2014 and currently serves as a financial consultant at Elanco. Prior to graduate school, he was a chemist with the Lilly Research Labs and Lilly Manufacturing. 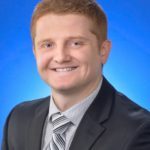 Since graduating from Ulndy’s MBA program he has been promoted three times in the last three years and was the youngest member elected to the Board of Directors of the Heritage Place of Indianapolis. Serving as Treasurer, Wittenberg oversees the financial vitality of this organization that serves 1200 senior citizens across central Indiana while also chairing multiple fundraising events that helped support outreach initiatives. 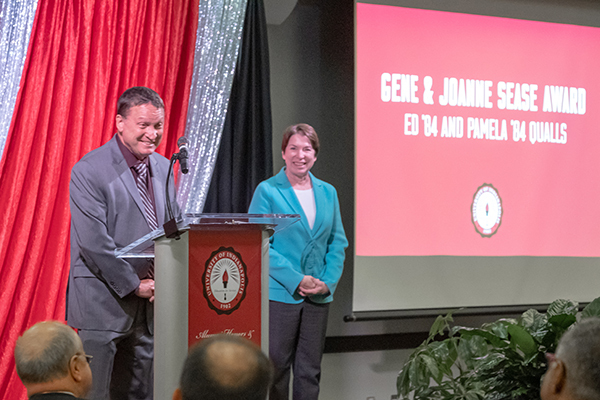 Named in honor of former UIndy President Gene E. Sease and his wife, JoAnne, this award recognizes couples who contribute their time, talent and treasure to the University. Ed Qualls earned degrees in business administration and business data processing in 1984 and Pam Qualls received a degree in music performance also in 1984. Both currently serve on the University’s Board of Trustees. Ed is the owner and president of Just Add Power Cardware Co., Inc. Pam is the chief executive officer of UMCM Suncoast, a leading social services not-for-profit agency. The Qualls met on campus as undergraduates in the 1980s and credit experiences at the University for shaping their lives, including a lifelong commitment to “Education for Service.” The Qualls have two children and reside in Largo, Florida. This award recognizes outstanding professional accomplishments or longtime service in a chosen occupation or profession. 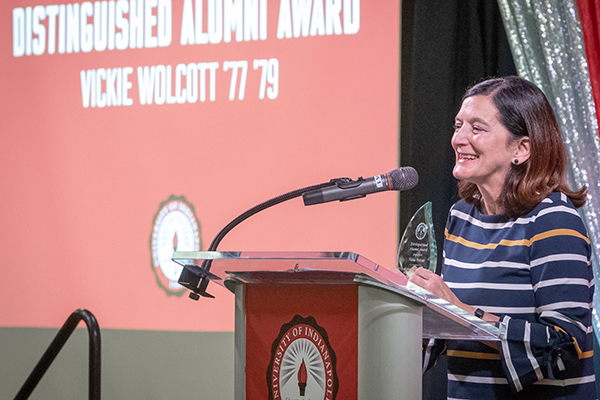 Vickie Wolcott earned degrees in Economics & Finance in 1977 and Business Administration in 1979. 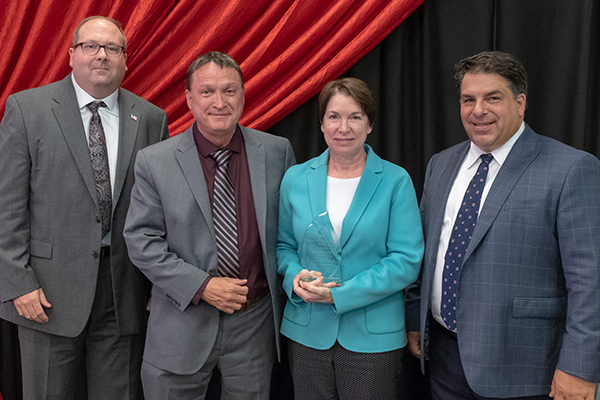 She has been with M.J. Schuetz Insurance Services for 40 years serving in every role in the company, starting as the receptionist, certificate of insurance typist, bond typist, claim processor, bookkeeper, account executive, and, today, president and owner. Well known throughout the industry, Vickie has served in leadership positions on multiple boards and was awarded the Harry P. Cooper Public Image Award in 2014. Vickie has two children, including a daughter, April, who graduated in 2013. 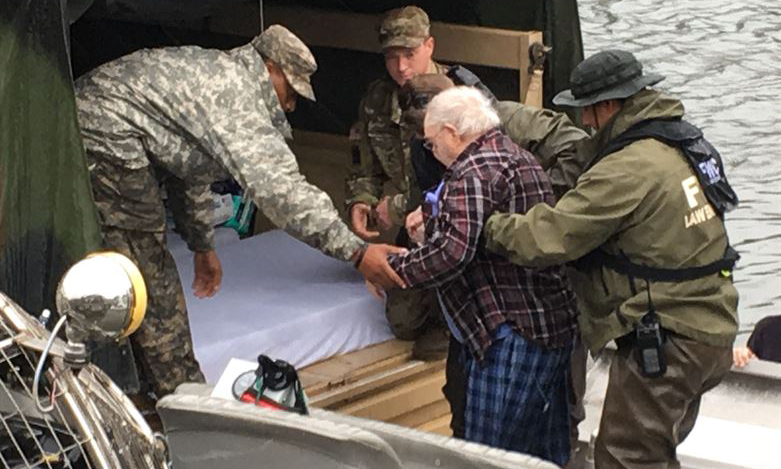 Nick Voelker, left, treating a patient. University of Indianapolis alum Nick Voelker made the record books in Minor League Baseball (MiLB) this summer without even picking up a bat. 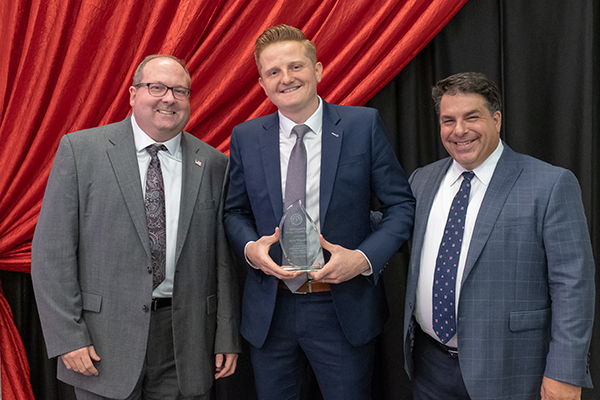 Voelker, who graduated in 2014 with a degree in athletic training, was named the Athletic Trainer of the Year for the Dominican Summer League and is now eligible to be named Minor League Athletic Trainer of the Year. This is Voelker’s second year in the MiLB. In 2017, he was an intern with the Cincinnati Reds Dominican Republic (DR) team. 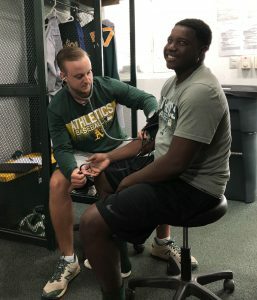 This year, he is a full-time athletic trainer for the Oakland Athletics DR team. “I perform all injury evaluations and oversee daily treatment and rehab of current players here at our complex in Santo Domingo Norte, DR,” Voelker said. 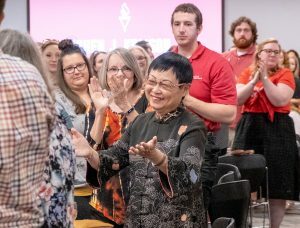 Phylis Lan Lin, associate vice president for international partnerships, was honored with the Meritorious Award by the Office of the Provost during the 2018 Faculty-Staff Institute luncheon for her outstanding leadership during 45 years of service to the University. Dr. Lin retires Aug. 31 and will assume the title of professor emerita. Dr. Lin has published or edited more than 30 books in Chinese and English on topics ranging from medical sociology, marriage and the family, stress management, service-learning and organizational behavior. Her servant leadership, passion for teaching and dedication to students have made her a beloved member of the UIndy family. Dr. Lin was recognized at both the Zhejiang Yuexiu Foreign Languages University (ZYU) and Ningbo Institute of Technology (NIT) 2018 commencements for outstanding service. As she closes the long and remarkable UIndy chapter of her career, Dr. Lin is starting several exciting new opportunities that reflect her commitment to building international relationships. 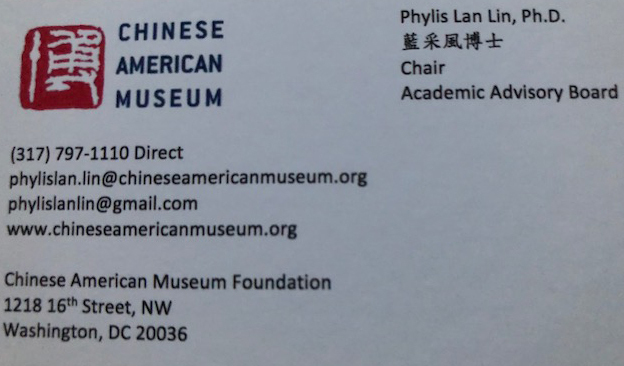 At the Chinese American Museum in Washington, D.C., Dr. Lin serves as the chair of the Academic Advisory Board that is designing a scholarship program for students. The museum is slated to open in phases during 2019 and 2020, with a gala planned for November 2018. Dr. Lin noted that while she hadn’t planned on these opportunities, she decided to embark on a new journey when the offers began pouring in after her retirement announcement. She will also serve as the honorary president of the Everbright Academy of Film Arts in Ningbo, China, and as Director of the Center for Research and Planning at Assumption University in Bangkok, Thailand. She will continue teaching an applied sociology course at the graduate level as a part-time adjunct professor at the University of Indianapolis. 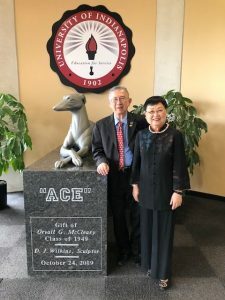 “After retirement, my base remains in Indianapolis, albeit my international and national engagements, so I can be a frequent visitor to UIndy,” she said. Dr. Lin joined the University faculty in 1973 with a passion for enhancing diversity and internationalization on campus. 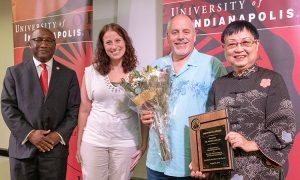 Her many responsibilities have included serving as executive director of the University of Indianapolis Press, director of Asian Programs and associate vice president for International Partnerships. 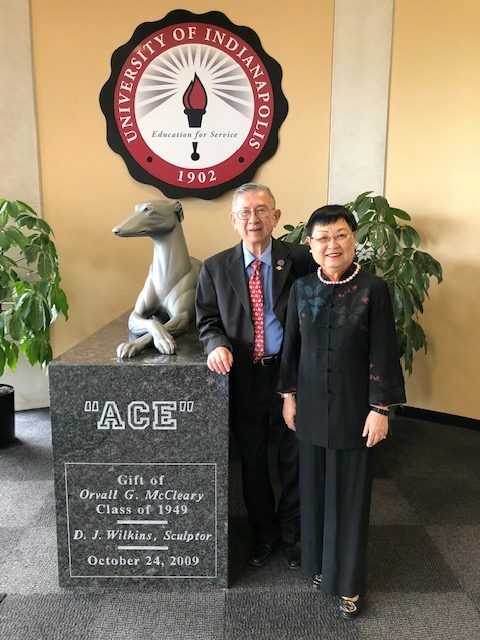 She played an integral role in forming accredited partnerships with Chinese institutions and establishing the Chinese Student Alumni Association, making frequent trips overseas to forge new relationships. She also spearheaded the establishment of the school’s social work program, which is now an academic department that bears her name. 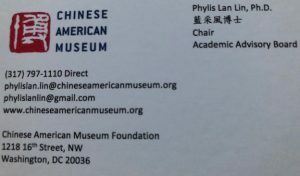 The Phylis Lan Lin Scholarship in Social Work, which supports social work students from traditionally underrepresented groups who have a commitment to social work and social justice, is another important facet of Dr. Lin’s legacy. Four scholarships of $5,000 each are awarded annually to students enrolled in either the bachelor’s or master’s of social work program at the University of Indianapolis. “We are incredibly proud of Dr. Lin’s achievements. She is one of the hardest working members of our department and an integral part of our team. We are grateful for her fantastic 45 years of service,” said Amanda Miller, chair of sociology. Dr. Lin follows a dual leadership philosophy of being a “V.I.P.” – a person with vision, integrity and passion, and also embodies the 4 “H’s” – humanism, humility, holism and happiness. She appreciates the collegial atmosphere at the University of Indianapolis as well as the support it provides for international programs. “It is so hard for me to leave my beloved institution after serving thousands of students and working closely with hundreds of faculty and staff in the last 45 years. Together, we make good things happen and we transform lives. I am gratified, humbled, and blessed. UIndy is thriving and the best is yet to come,” Dr. Lin said. Click here to read a comprehensive biography written by Kristeen Ruddle ’97. Click here to read a 2014 interview with Dr. Lin.